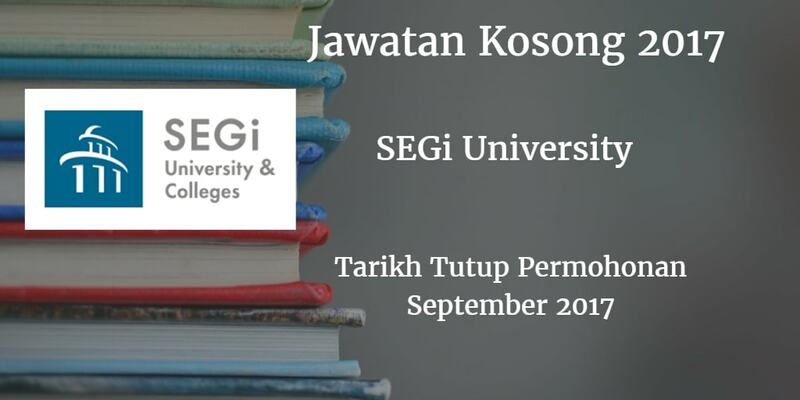 Sukacita dimaklumkan bahawa terdapat pelbagai kekosongan jawatan SEGi University akademik dan berikut. Peluang kerjaya di SEGi University. M.B.B.S qualified doctors with 3-5 years postgraduation in Master of Medicine (M.Med) in related fields or MRCP/ FRCP/ FRCS / MRCOG / FRCOG or its equivalent. Note: Candidates are preferred to have at least three years of teaching experience in the disciplines concerned.